Energetic constraints on precipitation are useful for understanding the response of the hydrological cycle to ongoing climate change, its response to possible geoengineering schemes, and the limits on precipitation in very warm climates of the past. Much recent progress has been made in quantifying the different forcings and feedbacks on precipitation and in understanding how the transient responses of precipitation and temperature might differ qualitatively. Here, we introduce the basic ideas and review recent progress. 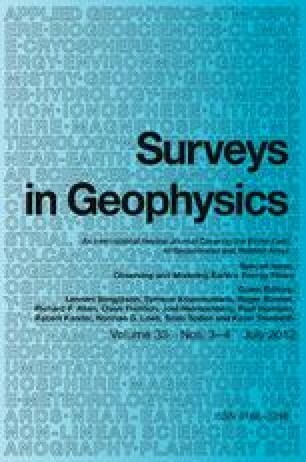 We also examine the extent to which energetic constraints on precipitation may be viewed as radiative constraints and the extent to which they are confirmed by available observations. Challenges remain, including the need to better demonstrate the link between energetics and precipitation in observations and to better understand energetic constraints on precipitation at sub-global length scales. M. Byrne is supported through the MIT Joint Program on the Science and Policy of Global Change. R. Allan is funded through the National Environment Research Council PREPARE project (NE/G015708/1) and National Centre for Atmospheric Sciences. We thank the American Meteorological Society (AMS) and T. Andrews for reproduction of Fig. 3, the American Geophysical Union (AGU) and L. Cao for reproduction of Fig. 6, and C. J. Muller for Fig. 7. The SSM/I data were extracted from Remote Sensing Systems, the GPCP data from the NASA Goddard Space Flight Center, the HadCRUH and HadCRUT data from http://www.metoffice.gov.uk/hadobs/ and ERA Interim data from http://www.ecmwf.int. We acknowledge the modeling groups, the Program for Climate Model Diagnosis and Intercomparison (PCMDI) and the WCRP’s Working Group on Coupled Modelling (WGCM) for their roles in making available the WCRP CMIP3 multi-model data set. Support of this data set is provided by the Office of Science, US Department of Energy.